CUMIN or jeera, extensively used in Indian cuisine, is known to possess antiparasitic and antimicrobial properties. It is also used to cure fever and as a painkiller. One of the variants of cumin, bitter cumin (kalijiri), has been studied for its antianalgesic and astringent properties. It is a dried seed of the herb Centratherum anthelminticum and used to treat a wide range of diseases from vitiligo to hyperglycemia. Now, a research suggests that bitter cumin contains high levels of antioxidants. Reactive oxygen species (ROS), also known as free radicals, are produced as part of the metabolic processes necessary for life. These are required for various functions like cell growth and energy production. But conversely their increased concentrations and non-removal from the body can lead to abnormalities like neurodegenerative disorders and cancer. Antioxidants detoxify these radicals and help in their removal from the body. By neutralising these ROS, antioxidants also slow down the ageing process. Common antioxidants include vitamin C and E.
Researchers at the Central Food Technological Research Institute, Mysore, conducted an experiment on bitter cumin treated with a combination of acetone, methanol and water. The antioxidant activity of bitter cumin extracts were then characterised using various free radical scavenging tools like DPPH and ABTS. To validate the results, extracts were also tested for their reducing power—ability to donate electrons. Higher the reducing power of the sample better is the antioxidant activity. The results revealed that bitter cumin extracts were strong antioxidants with different magnitudes of potency in scavenging different reactive oxygen species at microgramme concentrations. “The phenol extract of bitter cumin contains an array of phenolic compounds which may be responsible for its antioxidant activity,” says K A Naidu, the lead researcher. The extracts were also strong electron donors and hence potential reducing agents, another marker of antioxidation, he adds. Bitter cumin extracts were also able to minimise oxidative damage to DNA, one of the most detrimental effects of free radicals. 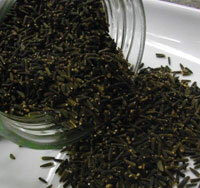 They also found that radical scavenging activity of bitter cumin phenols is the highest among all plant phenols. The study was published in May’s issue of BMC Complementary and Alternative Medicine Previous studies have reported number, type and concentrations of phenols in plants exhibit extreme diversity. The same group of researchers earlier carried out a broad spectrum analysis, published in European Food Research Technology, 2006 and 2008, and reported phenolic compounds, antioxidant, anti-hyperglycemic, antimicrobial activity of bitter cumin. It is a native to the Upper Egypt but is now grown in countries across the world especially India, North Africa, China and the US. “Owing to increased safety concerns about synthetic antioxidants, exploitation of safer antioxidants based on natural origin is the focus of research nowadays, and the present study has hallmarked the same,” says Abd-El-Hamed, Adjunct professor, Helwan University, Cairo.